A close relative of Canby bluegrass, this cool-season perennial bunchgrass is native to the Intermountain West region. It produces short tufts and rarely grows over one foot tall. 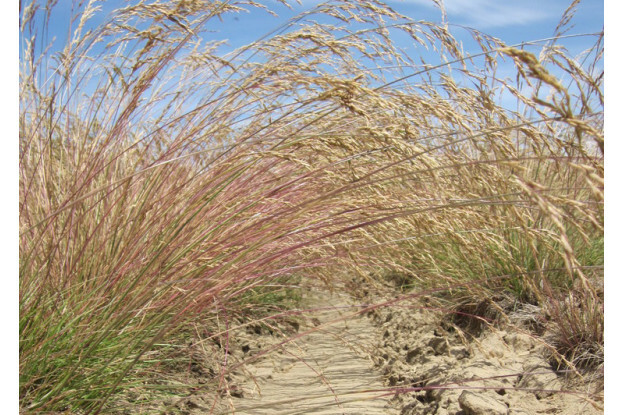 It is highly valued for its reclamation use and is able to compete against cheatgrass in wildfire damaged areas. Sandberg bluegrass is drought resistant and tolerant of a wide variety of soil conditions. It also provides good forage in the spring. It can be grown without irrigation in areas with at least 8 inches of annual precipitation.